Obituary for Leslie Reagan Ross | Lumberton Family Funeral Home, LLC. 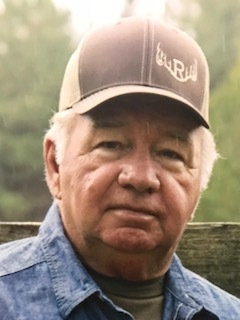 Leslie Reagan Ross, 70, of Buna, TX passed away peacefully on Sunday, August 12, 2018 under the compassionate care of Kindred Hospice. Leslie was born on Wednesday, February 18, 1948 in Silsbee, TX to his loving parents Rev. Delbert and Estelle Ross. Leslie grew up in Buna, TX and was a proud graduate of Buna High School and went on to earn an Associates Degree from Lon Morris Jr. College in Jacksonville, TX in 1968. Leslie worked 42 years at Eastex/Temple-Inland Paper Mill until he retired to spend more time with his family. Leslie was an avid hunter, gardener, and most of all loved to spend time with his family. Leslie met his wife Dottie on a blind date in 1994, allowing him to spend 22 years married to the love of his life. Leslie was a member of Parkwood Baptist Church where he served as the song director and a Sunday school teacher. Those who knew Leslie best will likely remember him for his love of singing, talent for writing beautiful poetry, an amazing sense of humor and being loyal beyond words. He will truly be missed by all those who knew him. Preceding Leslie Reagan Ross in death, are his loving parents Rev. Delbert and Estelle Ross; sister, Debera Ross; and grandson, Colt Kirkendall. Left to cherish his memory and legacy is his loving wife of 22 years- Dottie Ross; his children, Diadra Williams and husband Bobby, Alisa Duff and husband Tim, Nathan Ross and wife Christy, and Billy Owens and wife Alicia; his grandchildren, Molly Williams, Judd Ross, Cierra Jones, Josh Duff, Victoria Owens, Olivia Owens, Holly Williams, Jarrod Herrington, and Drew Herrington; his brother, Herbert Ross; and many treasured church members and friends. The family will receive friends and family for a time of visitation at Parkwood Baptist Church in Buna, TX on Tuesday, August 14, 2018 from 5-7pm. A life honoring service will be held at Parkwood Baptist Church in Buna, TX on Wednesday, August 15, 2018 at 10am with burial to follow at 1pm at Mitchell Cemetery in Bleakwood, TX.